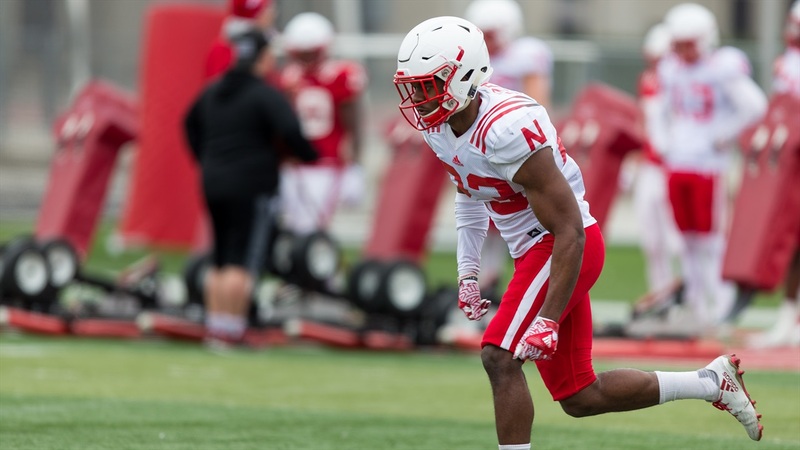 When fall camp began last Friday, Nebraska defensive coordinator Erik Chinander wasn’t really sure what to expect to see when his defense took the field. Did the Huskers take the summer off and recover or slack on learning the playbook? For the new arrivals, it’s about getting guys up to speed as fast as possible and Chinander said the veterans on the team have taken it upon themselves to help that process along. A step towards that horizontal leadership everyone keeps talking about. But for the guys that were here in the spring, there were questions about retention rate as it relates to the playbook. Chinander quickly erased any doubt of the team taking steps in the wrong direction. And there are so many new guys that some of the team is still learning names. But the benefit of having so many job replacements walking around is the competition levels are through the roof compared to where they used to be. “With the young guys and the new guys we’ve added playing at a high level, the competition has increased everywhere,” Chinander said. There might not be a spot more indicative of the growth than the secondary, a spot where confidence levels were “not very high” in the spring. Chinander feels “really thrilled” about where they are now. Asked about anyone specifically, he said the growth has been “pretty global.” Freshman corner Cam Taylor snagged an interception early on, then Antonio Reed got a pick, then Aaron Williams got a pick. There have been pass break-ups and forced fumbles through the first four days of camp (a good or bad thing, depending on how you want to look at it). “Overall the group has [risen] up a little bit,” Chinander said. >> Aaron Williams and Luke Gifford, both of whom had injury-limited offseasons, are practicing with the team but Chinander says they’re taking things slow. With Williams, Chinander says the senior safety is “a great asset” to defensive backs coach Travis Fisher and his room. On Gifford, Chinander is starting to see what some of the hype is about. >> Central Florida grad transfer Tre Neal is in Lincoln practicing with the team. Chinander talked about what he brings to the table here. >> “I’m seeing some of these new backs and some of these new wide receivers make some cuts I haven’t seen in a while.” That’s Chinander on some of the Huskers’ new offensive “toys,” as he puts it. One guy that has made a rapid impression is running back Maurice Washington. Head coach Scott Frost said last Thursday before fall camp opened that he wasn’t quite sure what to expect from Washington on the football field, but it seems as if the tailback has opened some eyes. They’ve already collided a couple times so far. Barry flashed a smile when asked if he’s gotten to “pop” the back yet. He shared an exchange the two had after a practice. “You’re working and I love it,” Washington told him. >> Cornerback Dicaprio Bootle also had good things to say about another freshman, walk-on defensive back Moses Bryant.